The connection between the creation of the penitentiary system in New York and Thomas Eddy is intimate. In addition to his desire to reform the Six Nations people, Eddy worked adamantly for prison reform. His vision for the penitentiary was — like his plans to raise Native Americans from poverty — simultaneously sweeping and meticulous. Moreover, his reforms were informed by a background in business and particularly by his faith. Eddy’s fiscal acumen and Quaker values allowed him to craft a plan for a prison system that was solvent and geared toward moral conversion (Figure 1). 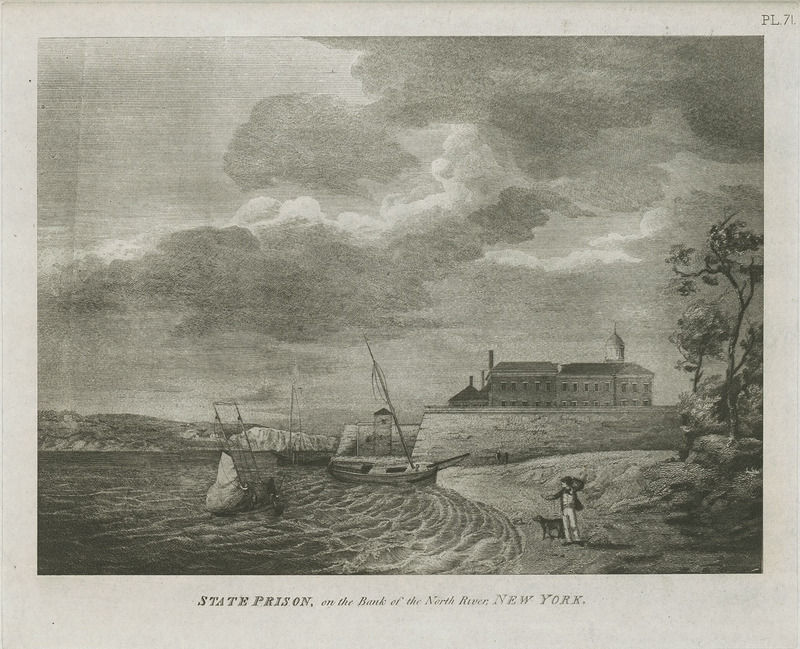 Figure 1: Newgate Penitentiary, the prison on the Hudson River. Through prolific grant-writing to donors and Congressmen for the reformation of both Native American communities and the prison system , Eddy demonstrates an understanding of money. He knew full well that in order for his programs to be successful and long-lived, they needed to be fiscally self-sustainable. For the Six Nation communities, the establishment of working farms and Western school systems were supposed to reinvigorate the economies of the tribes. As noted in Cost of Civilization, Eddy was adamant that the tribes pay back the Friends for any resources provided. In the same way, the expenses associated with operating the prison was, in Eddy’s plan, to be offset by money-making, internal labor systems. Figure 2: Temporary gallows at Newgate. With a good head for business and charitable intentions, Eddy and General Philip Schuyler, senator of New York, traveled to Philadelphia in 1796 to examine Walnut Street Jail (1773-1838) (Figure 3). Figure 3: General Philip Schuyler, NY legislator and friend of Thomas Eddy. Figure 4: Map of New York from 1828. Thomas Eddy and his fellow commissioners had to envision the transformation of this plot of land into a facility of moral conversion and enlightenment. Eddy believed that“[a]ll were once innocent; but, blinded by passion, allured by present temptation, they have mistaken their true interest, and been gradually led into the depths of vice and criminality.”[ix] The penitentiary’s structure had to align with its function, reformation. Therefore, Christian precepts were cemented into the very bones of Newgate. Christian religious doctrine views the body as a mere vessel for the soul; to be connected with God and experience true conversion meant a transformation of the soul. Thus, the faith and financial background of Thomas Eddy acted as the brick and mortar to build the New York penitentiary system. [i] James Kent, James Kent to Samuel L. Knapp, May 11 1933. Letter. From Samuel Lorenzo Knapp, The Life of Thomas Eddy: Comprising an Extensive Correspondence with Many Distinguished Philosophers and Philanthropists of This and Other Countries (New York: Conner and Cooke, 1834), 10. [iii] Thomas Eddy, Thomas Eddy to the Eddy Family, Letter. From Samuel Lorenzo Knapp, The Life of Thomas Eddy: Comprising an Extensive Correspondence with Many Distinguished Philosophers and Philanthropists of This and Other Countries (New York: Conner and Cooke, 1834), 44. [v]M. J. Heale, “Humanitarianism in the Early Republic: The Moral Reformers of New York, 1776-1825,” Journal of American Studies 2, no. 2, (1968): 170, http://www.jstor.org/stable/27552838. [vi] John H. Barnhill, “Eddy, Thomas,” in The Social History of Crime and Punishment in America: An Encyclopedia, ed. Wilbur R. Miller (Nw York: SAGE Publications, 2012). [vii] Samuel Lorenzo Knapp, The Life of Thomas Eddy: Comprising an Extensive Correspondence with Many Distinguished Philosophers and Philanthropists of This and Other Countries (New York: Conner and Cooke, 1834), 57-58. [viii] New York City Landmarks Preservation Commission, Weehawken Street Historic District Designation Report (New York: Landmarks Preservation Commission, 2006), 11. [ix] Thomas Eddy, Thomas Eddy to the New York State Legislature, 1801. Letter. From Samuel Lorenzo Knapp, The Life of Thomas Eddy: Comprising an Extensive Correspondence with Many Distinguished Philosophers and Philanthropists of This and Other Countries (New York: Conner and Cooke, 1834), 60. Eddy, Thomas. Thomas Eddy to the Eddy Family. Letter. From Knapp, Samuel Lorenzo. The Life of Thomas Eddy: Comprising an Extensive Correspondence withMany Distinguished Philosophers and Philanthropists of This and Other Countries. New York: Conner and Cooke, 1834. Eddy, Thomas. Thomas Eddy to the New York State Legislature, 1801. Letter. From Knapp, Samuel Lorenzo. The Life of Thomas Eddy: Comprising an Extensive Correspondence withMany Distinguished Philosophers and Philanthropists of This and Other Countries. New York: Conner and Cooke, 1834. Kent, James. James Kent to Samuel L. Knapp, May 11 1933. Letter. From Knapp, Samuel Lorenzo. The Life of Thomas Eddy: Comprising an Extensive Correspondence withMany Distinguished Philosophers and Philanthropists of This and Other Countries. New York: Conner and Cooke, 1834. Knapp, Samuel Lorenzo. The Life of Thomas Eddy: Comprising an Extensive Correspondence withMany Distinguished Philosophers and Philanthropists of This and Other Countries. New York: Conner and Cooke, 1834. Fig. 1. “State Prison on the Bank of the North River, New York.” Digital image. http://66.media.tumblr.com/tumblr_m39jovcGNZ1r6q9d2o1_1280.jpg.